Guaraqueçaba is a very magical place in Brazil! Guaraqueçaba is a very magical place. If you have visited it before, you are probably still talking about your vacation here and have some fond memories of a fabulous sunset in Guaraqueçaba, walking down an Old Town lane. If f you have never been here before, you are in for a real treat. 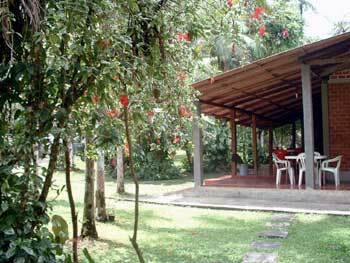 Pousada Flor da Serra, is surrounded by the nature and charm. You can stroll to the Pier to experience our famous sunset, try a fresh seafood meal, fish or walk on a trail - all just moments from your front door. Pousada Flor da Serra will delight you with its many natural touches -and with a very special friendliness. 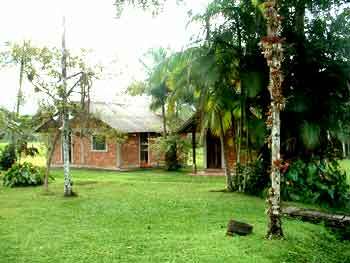 The 12-cottages at Flor da Serra, in fact, have gained remarkable popularity with visitors to Guaraqueçaba. Chat with your neighbors around the pool - or sit in a hammock at the reception just to watch the hummingbirds come close, very close to greet you.